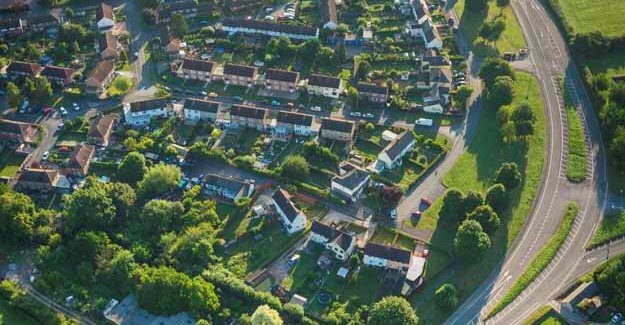 The RAC Foundation has voiced support for the findings of a report from Transport for New Homes which highlights inadequate walking, cycling and public transport connections to surrounding areas from modern housing developments. The study says that with limited facilities locally, residents are for the most part forced into car-dependency. Researchers from Transport for New Homes visited more than 20 new housing developments across England. The first piece of research of its kind in the country, the report looks at what is actually being built and identifies its deficiencies in relation to public transport, walkability and access. “We were appalled to find so many new housing developments that were built around the car with residents driving for almost every journey. This is bad news for congestion, air pollution and carbon emissions. Many urban extensions on the edges of towns are being built with new road capacity to cope with the onslaught of new car journeys, but as those cars head for our towns and cities they clog up existing roads. Commuter times get longer and longer. Car-based living of this kind is not good for our health or quality of life. Case studies from Transport for New Homes. Castle Mead in Wiltshire consists of 640 homes on green fields and is typical of many other places visited in that it is car based with developer contributions going to new road capacity. The new homes in part financed the construction of a bypass for Trowbridge and this road effectively cuts the estate in half. It took a successful campaign by local people to bring the speed limit through the estate down from 40 mph to 30 mph and to install a pedestrian crossing over this road to the primary school. However, with few facilities on site, people wanting to walk out from the estate to shops or services are not well catered for. If they want to go to the pub, community centre or shops down the road at Paxcroft Mead, they either face a circuitous walk through open informal recreational areas and through an underpass – which many say does not feel safe alone or after dark – or they must walk along the bypass. The road however has no pavements and pedestrians must brave the grass verge alongside a road that is designated as a route for HGVs. This kind of situation is not unknown elsewhere. A similar problem exists for example in Bourne, Lincolnshire, where residents have to walk along a grass verge and then negotiate a busy roundabout to get into town on foot. Bus links to Castle Mead are infrequent and even more so at evenings and weekends. The station is forty minutes’ walk away. Traffic jams in Trowbridge are growing as car-based homes in their thousands are being built in an area where most residents have to commute to work, for example to Bath, Bristol and Swindon. Trowbridge itself is in need of regeneration with a very large vacant and derelict site next to the station. The reality on our visit was somewhat different. Seven years since the first section was completed, we found very little in the way of local facilities with no shop or café on site. The development was pleasant in terms of greenery but seemed devoid of people during the day – we only saw one person walking. Buses only go as far as the entrance to the estate, which is off a main road. The estate, set in an area already criss-crossed by large roads and characterised by out-of-town industrial sprawl, was not, we thought, an environment conducive to walking. Poundbury is an urban extension on the outskirts of Dorchester built on land owned by the Duchy of Cornwall. The development is built to a traditional high-density urban pattern, and has created an integrated community of shops, businesses, and private and affordable housing (35%). It was specifically designed around people rather than the car. There are currently 3,000 residents with over 2,000 people employed in over 180 businesses. The town is expected to be completed by 2025 with a population of 6,000 residents. The architecture of Poundbury is not universally loved, but what interested us was not the ‘olde worlde’ style of the buildings so much as whether the area presented a walkable and vibrant place, and one that was served by good public transport. The answer to both questions was ‘yes’ and this was in stark contrast to nearly all the other urban extension we visited. What was the secret? We put it down to the layout of connected streets with interesting squares and courtyards, coupled with the way that offices, small shops, cafés, pubs and even a garden centre were integrated with the homes as you might expect in an authentic small town. Rather than a supermarket off a roundabout, a business park on a link road, and a pub by a distributor road junction, here was everything arranged as a truly walkable neighbourhood and it worked. There have been a number of new developments on the fringes of Cambridge in the last few years. We looked at Trumpington Meadows and Great Kneighton, two neighbouring residential developments in the southern fringe of the city. These developments were unique in that they benefited from modern rapid transit in the form of the Cambridgeshire Guided Busway and an extensive network of cycle paths linking the new homes to other parts of the city. A range of new facilities had been built, including a country park, library, primary and secondary schools and a community centre. Shops and cafés are within walking distance. That said, the new homes were some of the most expensive we came across. Indeed we found that new homes in accessible locations are often the least affordable, even though people on low incomes will be the most likely to be reliant on public transport. However, in Cambridge this is mitigated by the fact that 40% of the new homes are designated as affordable. Transport for New Homes is a new organisation that aims to bring transport and planning together. We want to see all new housing developments served by modern and frequent public transport. Rather than islands of new homes on fields isolated from existing urban areas, we believe new places should be connected to existing systems of streets so people can walk or cycle in and out. Transport for New Homes is funded by the Foundation for Integrated Transport with a contribution from the RAC Foundation, and support from professional institutions and bus operators. The Transport for New Homes report is the result of our visits to more than 20 new housing developments across England, and others in the Netherlands. As well as trying out public transport, walking and cycling at the developments, we compiled profiles of each development’s planning history, housing delivery, transport provision and accessibility to services. The report is being launched today, 24 October, at an event in London.